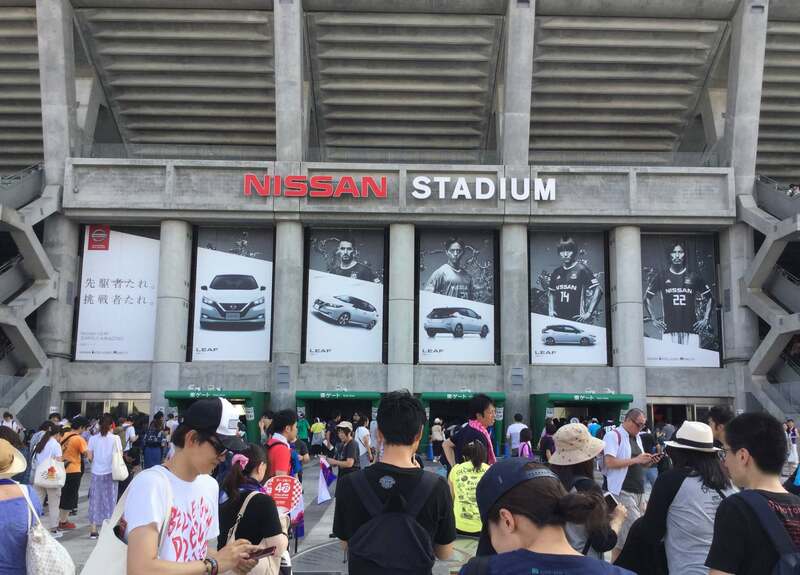 This beast certainly isn’t the prettiest stadium in Japan, but it is the biggest. The home stadium of Yokohama F Marinos FC, Yokohama International Stadium has a capacity of 72,300 and is set to host the final and two quarterfinals in addition to 4 pool matches. 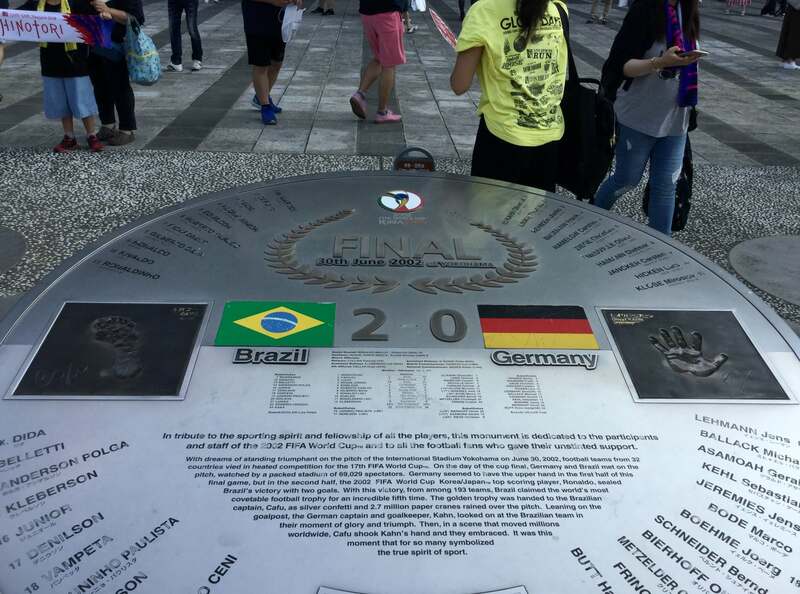 This is the stadium where two Ronaldo goals won Brazil the 2002 FIFA World Cup against Germany, an event commemorated on a plaque at the front entrance – presumably there’ll soon be another plaque there for the rugby final. But with which teams inscribed upon it? 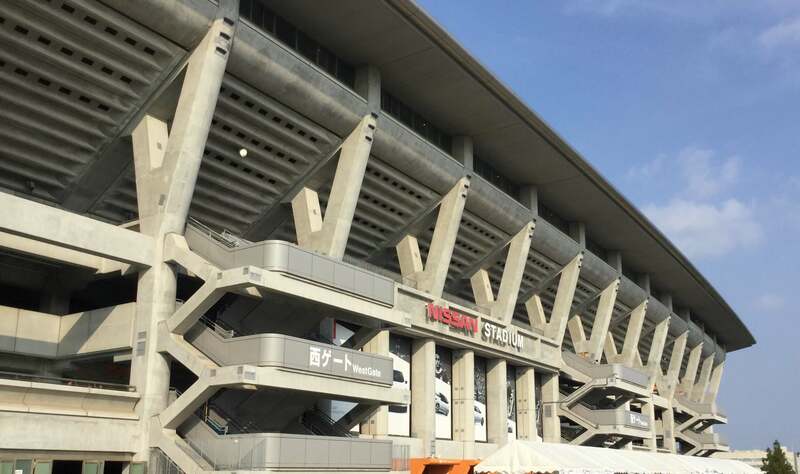 The stadium’s a 15-minute walk from Shin-Yokohama Station. If you’re staying in Yokohama, you’ll probably be best off riding the Yokohama subway’s Blue Line to Shin-Yokohama. For matches at Yokohama International Stadium you can stay in Yokohama itself, or really anywhere in central Tokyo. If opting for the former, the Shin-Yokohama Station area (search here) puts you walking distance from the stadium, whereas the more central options near Yokohama Station (search here) or the Minato Mirai port area (search here) are better for nightlife & sightseeing. Minato Mirai: Yokohama’s photogenic waterfront is called Minato Mirai, meaning ‘Future Port’, and was completely redeveloped in recent decades from the rough old dockyard area. These days it consists of business & leisure facilities including the converted Akarenga red brick warehouses (now an artsy shopping centre with good restaurants & bars on the top floors, see here), an amusement park with a large Ferris wheel and various other rides, and the Landmark Tower (until recently Japan’s tallest building) with a good observation deck at the top (see here). 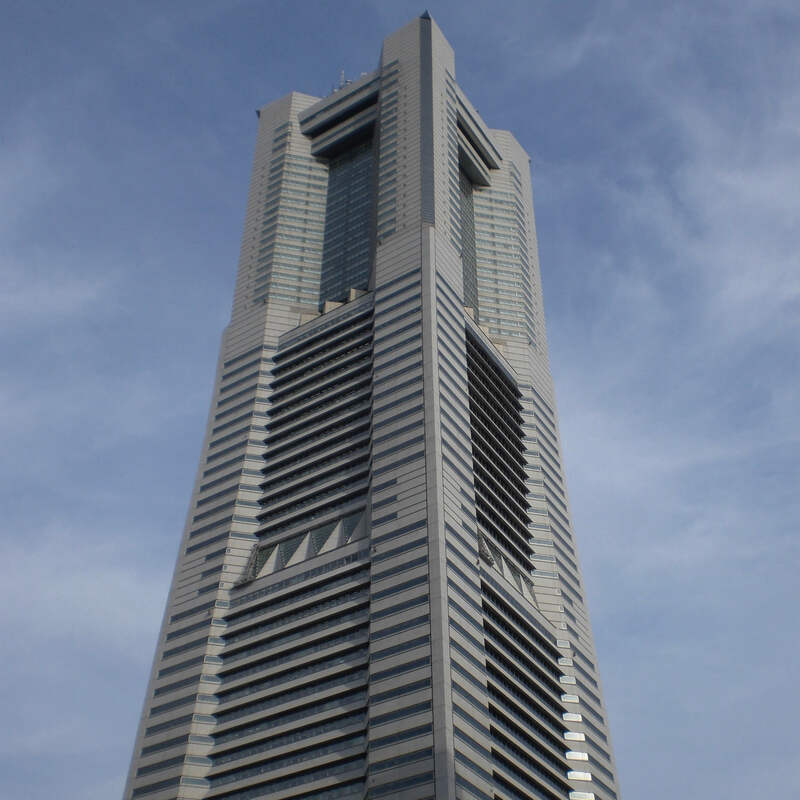 The Landmark Tower stands near the main JR Yokohama Station, and the waterfront promenade runs east from there via the amusement park, various shopping malls & museums, the Akarenga warehouses, etc, to Yamashita Park; it’s about a 30-minute walk end-to-end if you don’t stop. 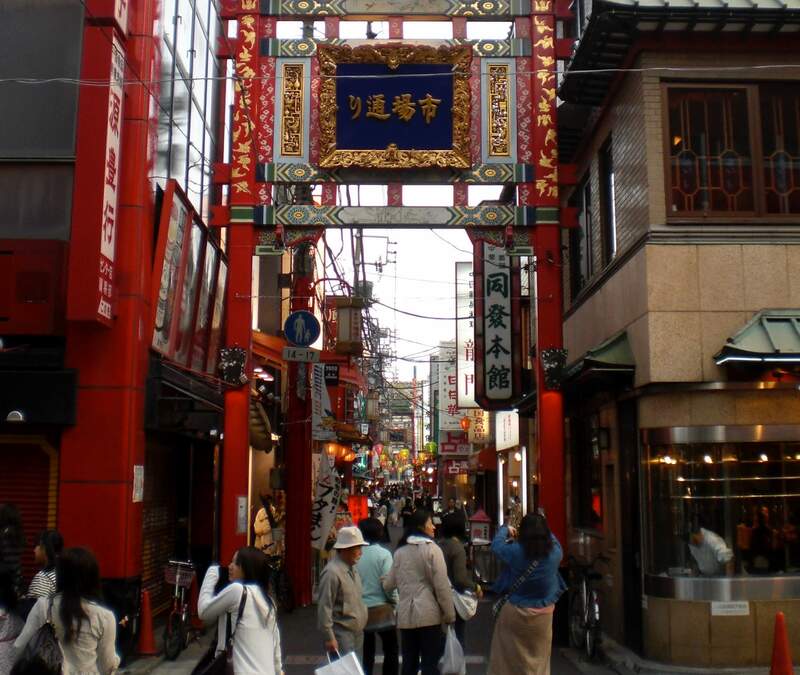 Yokohama’s Chinatown is a short walk inland from Yamashita Park, so if you start with the Landmark Tower and stroll along the waterfront checking stuff out along the way, finally aiming for a meal in Chinatown, you have the makings of a good day out. 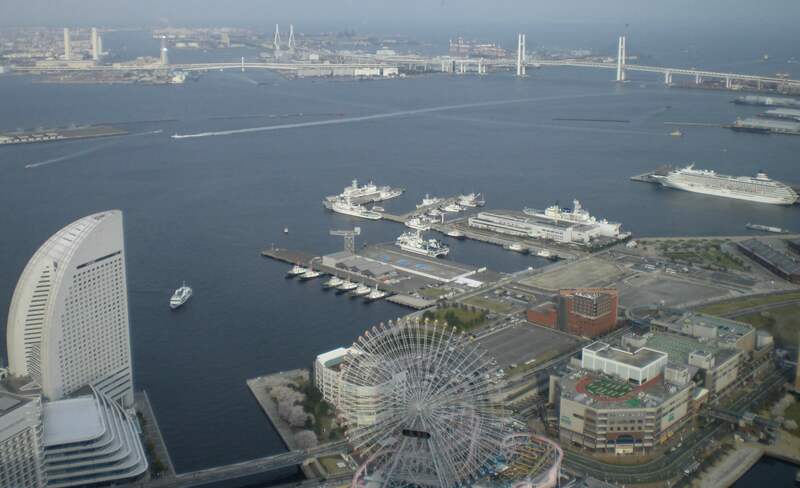 Minato Mirai has a good homepage here; access is on foot from JR Yokohama Station, or from the half-dozen stations along the privately operated Minatomirai Line (IC cards accepted) which runs from Yokohama Station to Motomachi-Chukagai Station (Chinatown). Chinatown: Japan’s largest and most famous Chinatown is Yokohama’s Chukagai (the other two are in Nagasaki and Kobe), in fact one of the world’s largest, and it’s a great place to go for food at the end (or beginning) of an amble along the Minato Mirai waterfront. It occupies the blocks just west of Motomachi-Chukagai Station on the Minatomirai Line, or alternatively it’s a short walk northeast of JR Ishikawacho Station on the Negishi Line (3 stops from JR Yokohama). They have a homepage here, though it’s in Japanese only. Kirin brewery tour: Kirin is one of Japan’s main beer labels and you can take a tour of their brewery in Yokohama (with tasting session at the end). For access see the map on their homepage here (homepage only in Japanese unfortunately); the closest station is Namamugi on the private Keikyu Line (a 10-minute walk), or if you’re using the JR Pass the closest JR station is Shin-Koyasu (15-minute walk). Nightlife: for clubbing it’s best to hop on a train up to Shibuya, but Yokohama has a great bar scene of its own especially in the jazz house department. The Noge district is the main area for this, lying inland from Minato Mirai to the southwest of Sakuragicho Station (one stop from JR Yokohama); there’s a good write-up here. 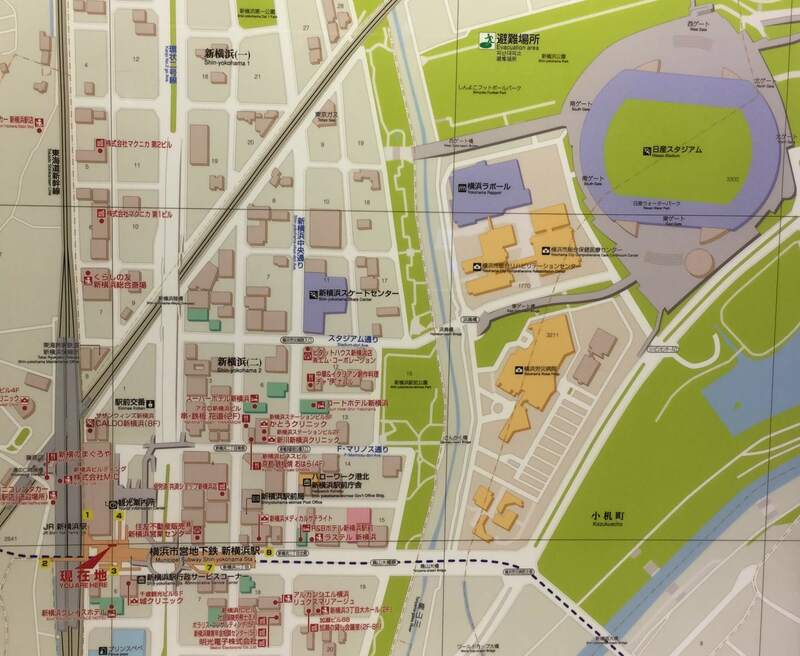 For live big screen rugby head to The Tavern, a 10-minute walk west of Yokohama Station. Kamakura: Home to the Kamakura Great Buddha and a number of beautiful temples, with some good hiking trails in the hills behind and views over Sagamihara Bay. 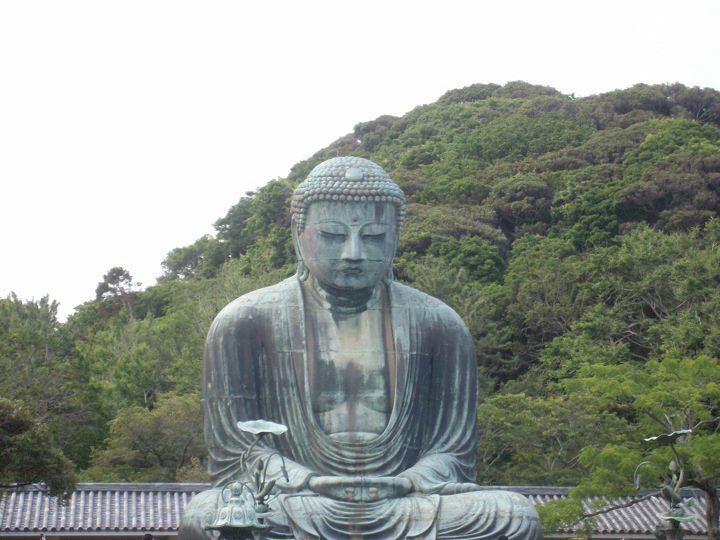 Kamakura makes a nice easy day-trip from Yokohama e.g. head to the Great Buddha & Hasedera Temple first, then perhaps head on to nearby Enoshima (a popular little island just off the coast) or head back to Yokohama for a Chinatown dinner. Hakone: the Fuji-Hakone-Izu National Park lies not far west of Yokohama, consisting of the Mt Fuji area and the Izu Peninsula. The World Cup’s too late in the year for climbing Fuji (the trails are closed in early September), but you can still take the bus up to ‘Fujinomiya 5th Station’, which is the car park and trailhead on the south side of Fuji at 2400m. Catch the bus from Shin-Fuji Station (weekends only during the World Cup, 2 round-trips per day with 30 minutes at 5th Station, schedule here), which is served by shinkansen bullet trains (specifically, the ‘Kodama’ all-stop trains). Any questions about watching the rugby in Yokohama? Give me a shout below and I’ll get back to you.